WEHA stands for “Werkstaetten Haupt” founded by Fritz Haupt in 1946. 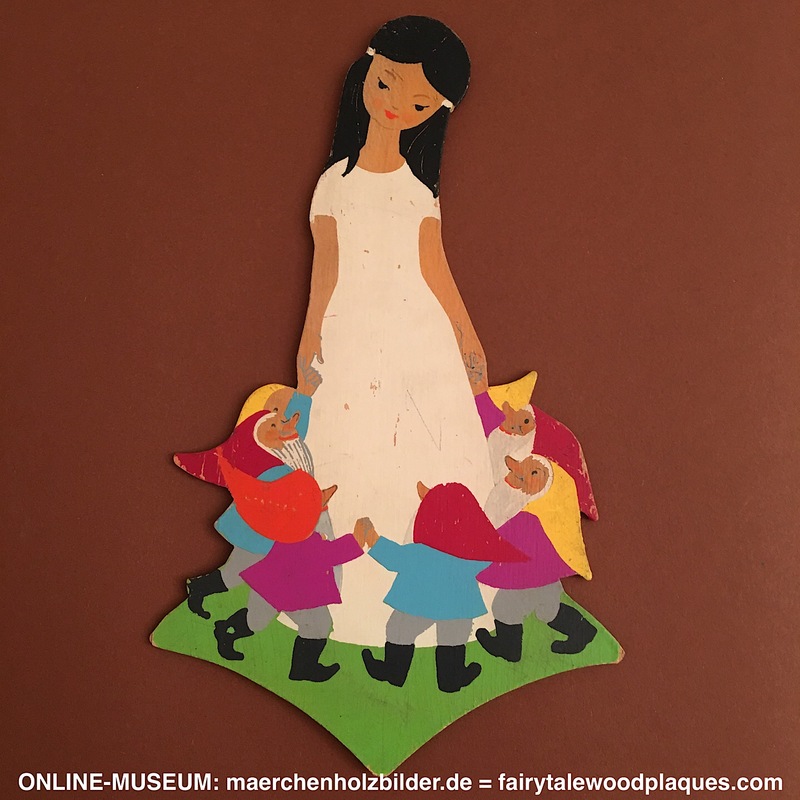 Many of his fairy tale wood pictures were the first Christmas presents for many children right after the 2nd World War. In the GDR the manufactury was taken from its owner. After the fall of the Berlin Wall the family took it back, so that WEHA still exists, near Seiffen in the Ore Mountains. 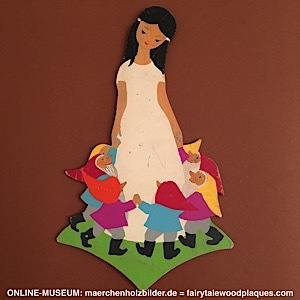 I love this Snow White, it reminds me so much of my childhood in the 1960s and 1970s.